In the beautiful southwest corner of Heber Valley you'll find Deer Creek State Park. As the state park surrounds Deer Creek Reservoir, this is a very popular place for fishing, boating, water skiing, sailboating, sunbathing, windsurfing and swimming. 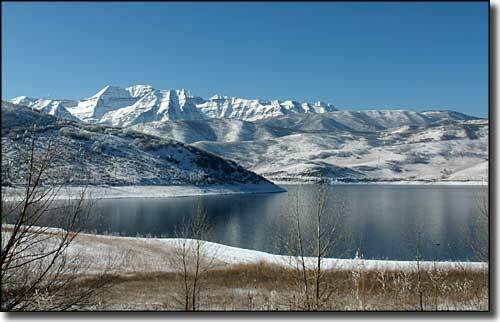 Deer Creek Reservoir is about 6 miles long with a maximum surface area of 2,965 acres. The lake was built by the Bureau of Reclamation and paid for by the Provo River Water Users Association. From its completion in 1955 until 1971, the reservoir allowed no water sports other than fishing. 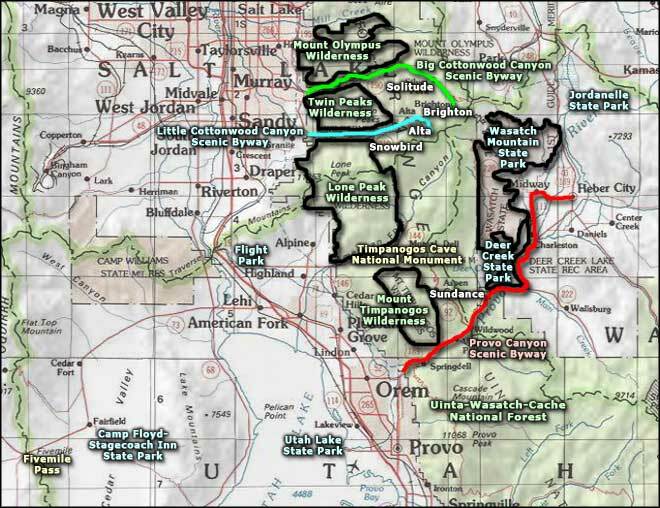 In January, 1971, the Utah Division of Parks and Recreation took on the responsibility for administration and operation of the reservoir along with development and operation of recreational uses of the reservoir and on adjoining state lands. This is when Deer Creek State Park came into existence. Today, the reservoir still supplies municipal and industrial water service, plus surplus irrigation water, to Salt Lake City, Orem, Provo, Lindon, Pleasant Grove, Lehi and American Fork. But along the 18 miles of shoreline you'll also find 2 campgrounds and some boat launch facilities. The state park is open in summer from 6 AM to 10 PM and in winter from 8 AM to 5 PM. At the Deer Creek State Park office you can buy a $10 day use pass or a $75 annual use pass. The Choke Cherry Campground offers full hookups for $25 per night and the Great Horned Owl Campground is $16 per night with no hookups available. Dogs are allowed in the campgrounds but only if on a 6' max leash, always attended and always cleaned up after. Deer Creek State Park is located on Highway 189 about 10 miles south of Heber. Elevation: 5,400'. Park acreage: 2,626. Upper photo courtesy of Mike Nielsen, CCA ShareAlike 2.0 License.